Spring is a very busy and productive time at Vineyard Gardens. Our landscape division crews are already out doing spring clean ups. 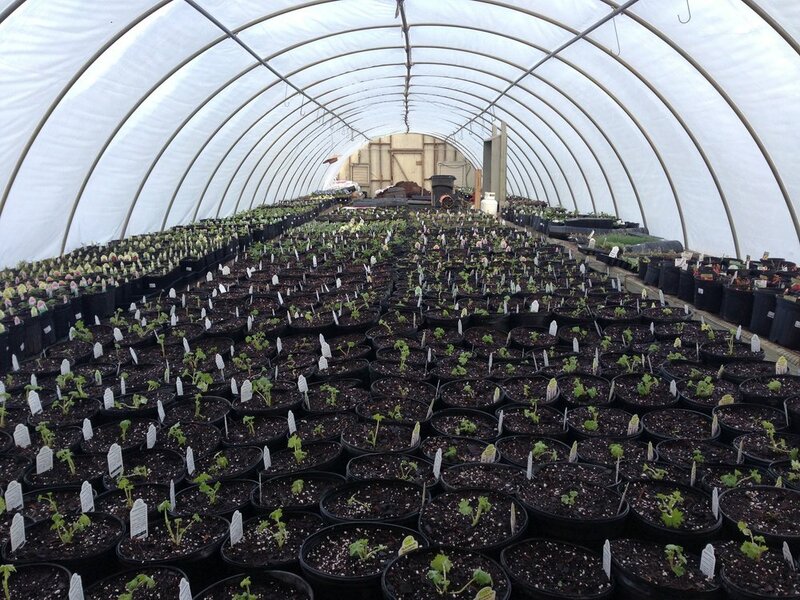 Our in-house production is busy planting bulbs, liners, bare root perennials, roses, trees and shrubs. 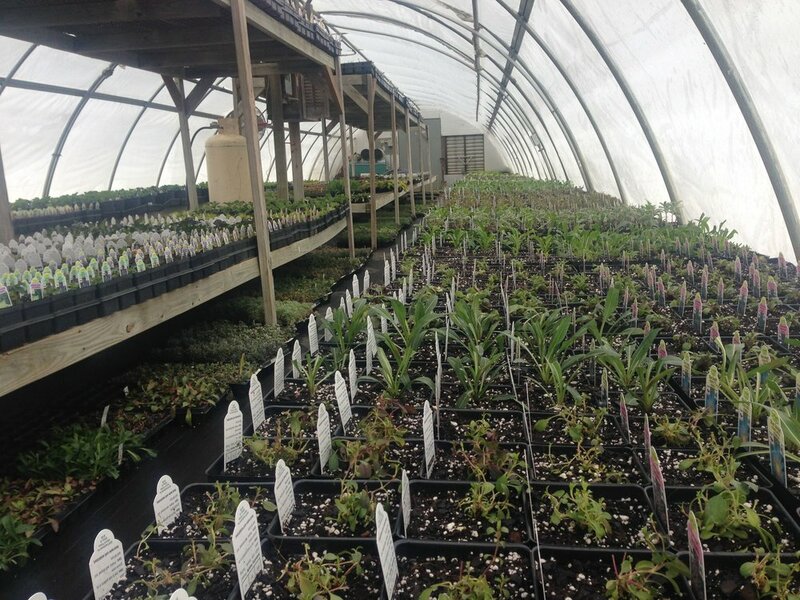 The nursery is in full swing unloading truck full of plants from New Jersey, Virginia and Oregon. And the early spring flowers, like pansies and pieris japonica, are in their full bloom glory. We also just put the poppy’s and primulas outside to harden off and we have our usual beautiful crop of 5” perennials. It is an exciting time of year! Labeling is critical from day one! As plants are potted up, each one has to be accurately labeled. Leafy greens like cooler temperatures to produce quick, tender leaves for your salads and cooking. the earlier you get them in the ground the better! Getting strawberries started early is important for this season's production. 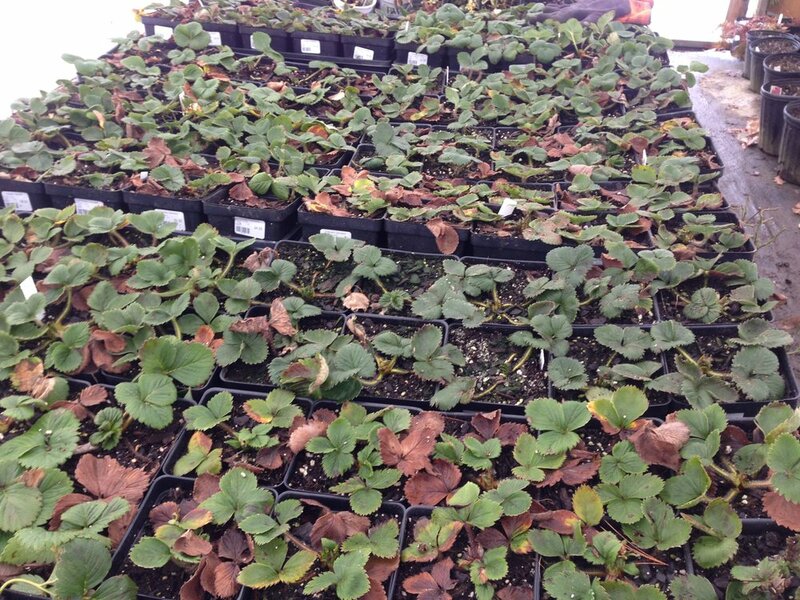 We give them a jump start but you should be planting them out as soon as we're 'frost-free'. 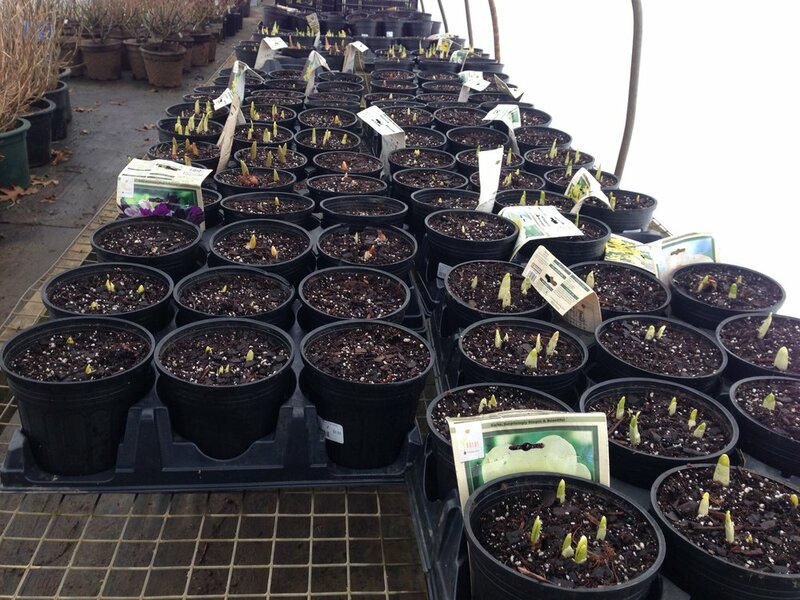 In the Fall, any bulbs left unsold get potted up and forced for Spring color. Growing on 4in perennials, its economical to buy your perennials early in smaller sizes. better for the plants too! Our Landscape Division are already out there doing Spring Cleanups, if you haven't set yours up yet, call the office today! Pansies are in full color at the nursery! Believe it or not spring is on its way! 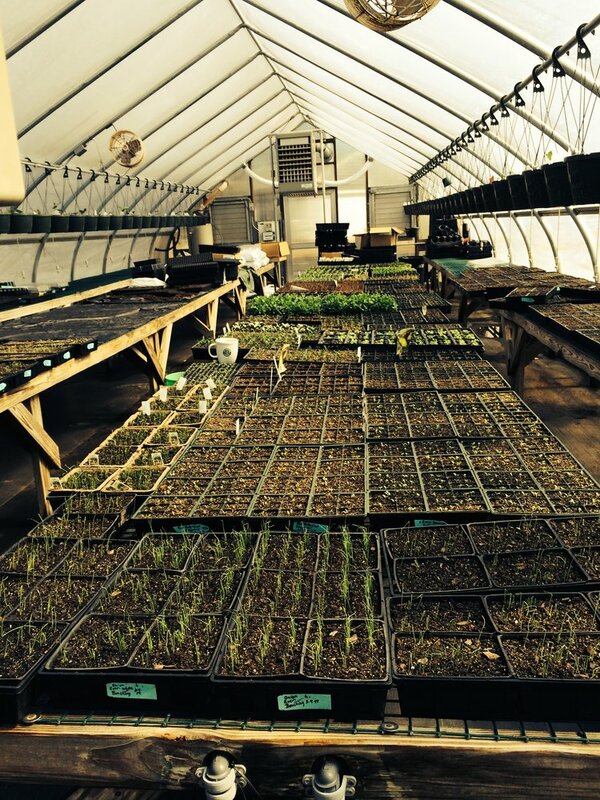 It’s such an exciting time at our in-house facility, seedlings starting to emerge and a new season taking shape. We decided to re-post this from last year to remind all our friends and family what Vineyard Gardens does during this time of year. 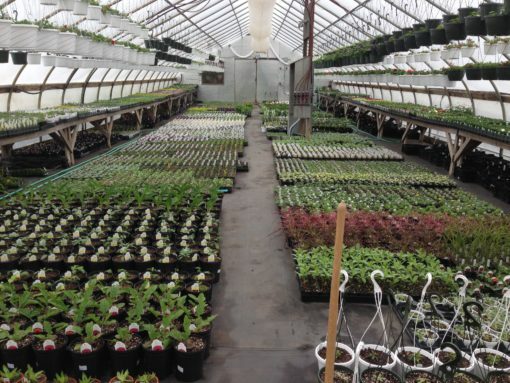 "Vineyard Gardens Nursery, located in West Tisbury, is a botanical paradise situated on five acres of land with ten greenhouses. Established over thirty years ago with one greenhouse, it has developed into an island staple and agricultural enclave. 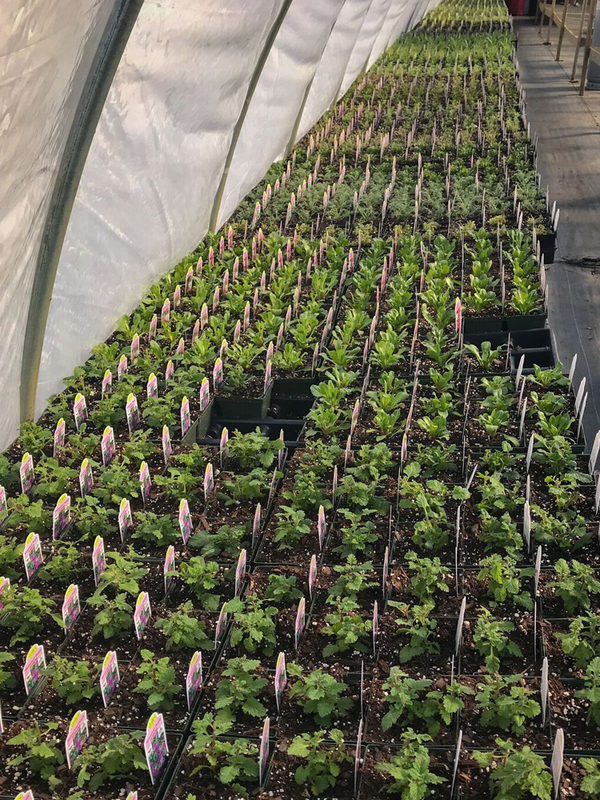 Rooted in horticulture and plant science degrees, Chris and Chuck Wiley have developed their one time modest landscaping company into a full on plant production center, nursery and landscaping company. 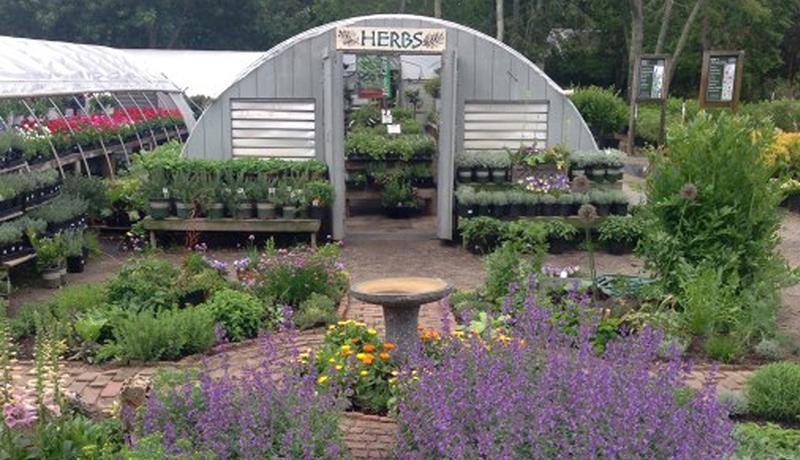 The Wiley’s are passionate about providing their customers with the healthiest and hardiest plants and have found many benefits in nurturing them into this world from seed. To enable this in-house production they have, over the years, built a separate five acre growing site named VG2. The facility has both indoor and outdoor growing spaces including four 100ft greenhouses, one of which is purpose built for “germinating” seeds into seedlings. 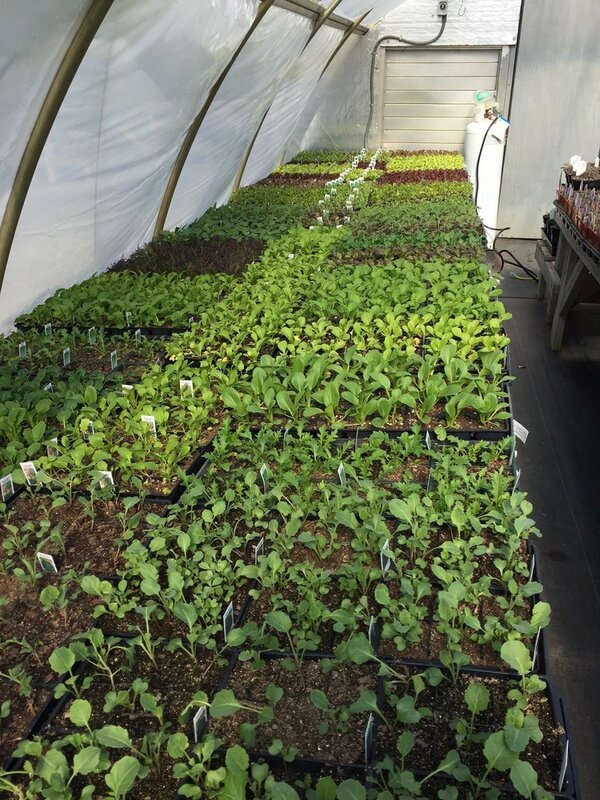 It’s within this carefully temperature and humidity controlled greenhouse complete with automated mist-watering and heated benches that life begins for the bulk of their veggies, herbs, annuals, and perennials. The Wiley’s have a keen desire to keep Vineyard Gardens’ plant selection fresh and intriguing year after year. They have developed a symbiotic relationship between their love of plants and love for travel. These horticultural explorations have inspired them to collect seeds on their journey’s and germinate them at VG2. “Last year we found the seed Tweedia Caerulea, Blue Butterfly Weed, for sale and bought it from Geo seed catalog. We will have it again this year hopefully in good numbers. We will have the Nolana Bluebird this year which is a great plant. And back by popular demand we will have white lace, Orlaya grandiflora.” Chris explains. 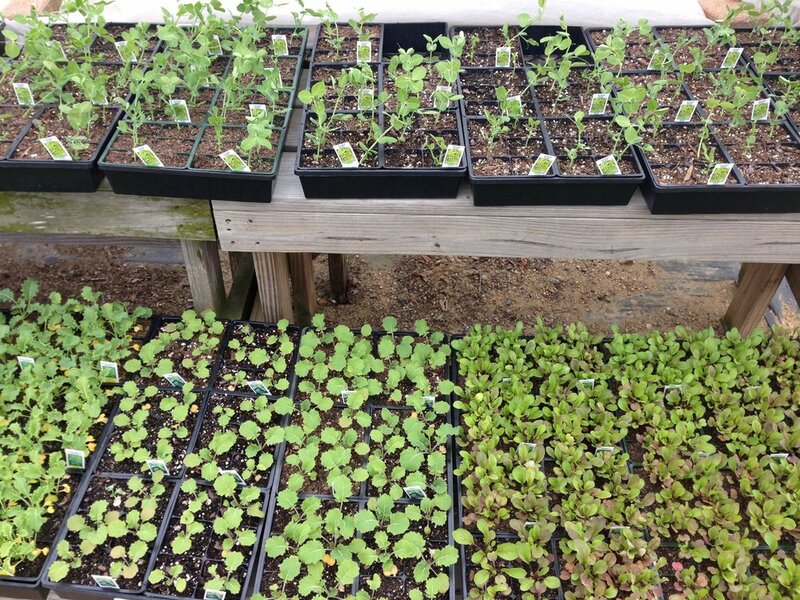 Vineyard Gardens Nursery, located in West Tisbury, is a botanical paradise situated on five acres of land with ten greenhouses. Established over thirty years ago with one greenhouse, it has developed into an island staple and agricultural enclave. Rooted in horticulture and plant science degrees, Chris and Chuck Wiley have developed their one time modest landscaping company into a full on plant production center, nursery and landscaping company. 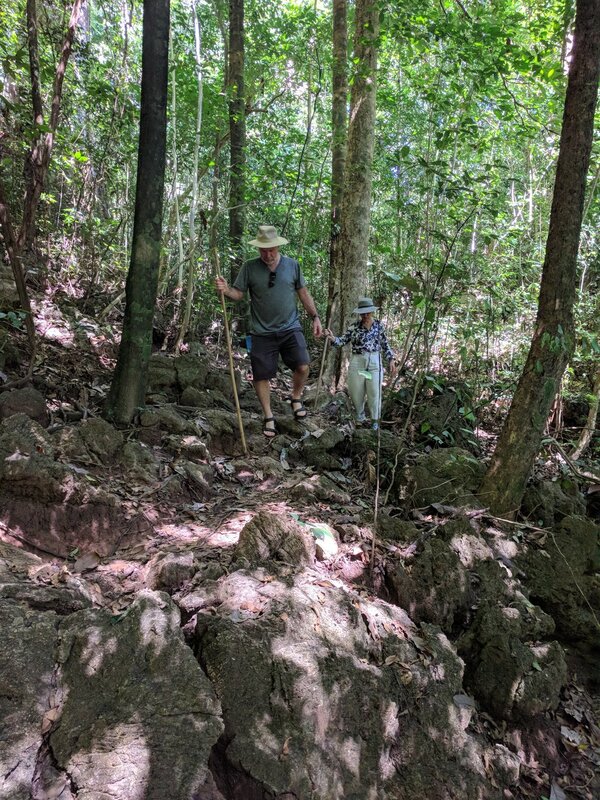 Chris and Chuck exploring the jungle in Khao Sok National Park, Thailand a few weeks ago. Not every spring is the same, close, but not exactly. If we were to try and define a spring as “typical” it would defy us. So, we take the weather as it comes, that way it never disappoints. This year, so far, its been perfect. We had a relatively mild winter with a few storms, some freezing temperatures and a few sunny days to keep us from getting cabin fever. All this has been good for the spring flora and we’re enjoying every minute of it. We’re seeing clear pinks and reds in the flowers of our Camellias. The Forsythia’s are bursting forth reminding us to apply pre-emergent and fertilizer to our lawns. The Hyacinths are filling the air with their heady fragrance. And the early Azaleas are giving our first strong colors. AZALEAS: If you would like to branch out from the typical landscape standard “PJM” Azalea another option is the Azalea “Landmark”. Hybridized by Ed and Wayne Mezitt at Weston Nurseries in 1985, it is a cross with parentage including Rh. ‘PJM’ but has a deeper red coloring and shiny, mahogany-colored foliage. 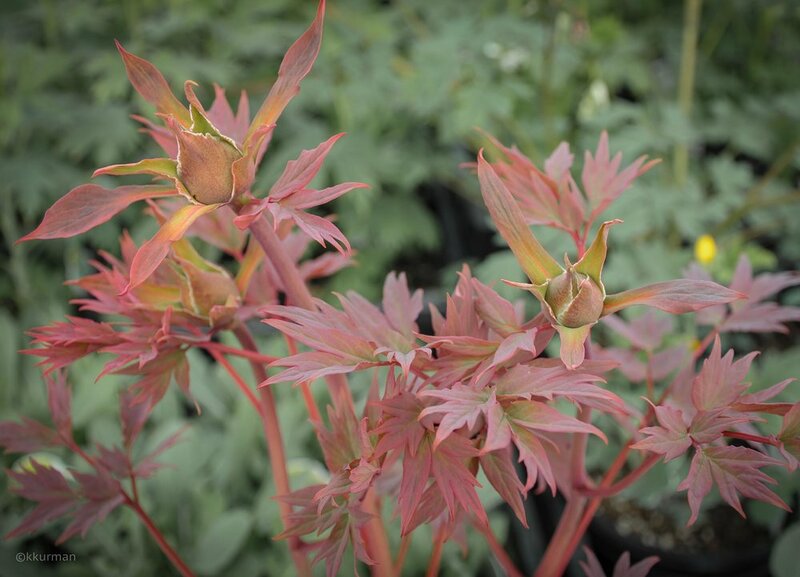 “Landmark” is a great plant that’s easy to grow in a wide range of conditions and quickly gets up to around 6’x6’. Easy to prune if it gets bigger than you would like. TREE PEONY: It always surprises me how early the Tree Peony’s flower. If you haven’t tried them you might want to. They are an easy plant to grow, slowly becoming a fairly substantial shrub with huge single or double flowers opening in May. HERB and VEGETABLE GARDENS: Year in and year out April is the time to start our Herb and Vegetable gardens. These days it seems more important than ever. In the “Post War” era, after a stretch of real importance in maintaining ‘Victory Gardens’, keeping home vegetable gardens fell somewhat out of fashion. Now though, we are more aware of how important fresh vegetables are to our general health. As more and more produce is becoming available at the grocery stores and our palates become more sophisticated with cooking shows and “farm to table” concepts prevail, there is all the more pressure to ‘grow our own’. Vineyard Gardens has been on the vanguard of the "grow it in your own backyard" movement for decades. The following pictures illustrate the process of planting seedlings. First arrival, the seed or feeding leaves, called ‘cotyledons’. Next, the first ‘true leaves’. This is the stage when you can feather the young plants apart in order to set them out with proper spacing in the garden. This past Saturday was the first "Garden Talk" discussing strategies for starting veggies and herbs from seed and getting the soil prepped and ready for growing. Chris Wiley, owner of VG and a seasoned pro, led the talk. She handed out a helpful diagram specifying when various summer vegetables should be seeded and planted in the garden. 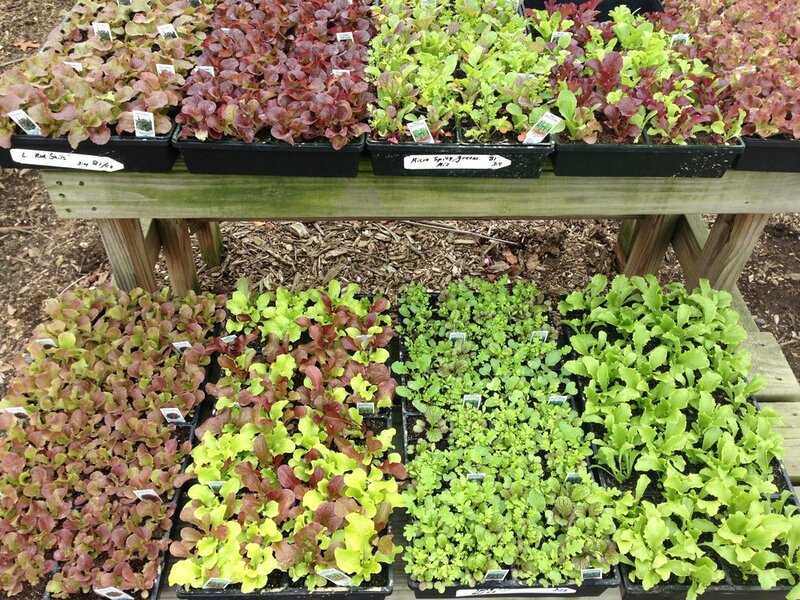 Vineyard Gardens' home grown seedlings are available at the nursery, coordinated with planting dates, if you don't get your seeds planted on time. There’s a wide range of leafy greens that can be planted to give variety and interest to your summer salads. This is also a good time to be planting perennial vegetables like strawberries, rhubarb and asparagus. 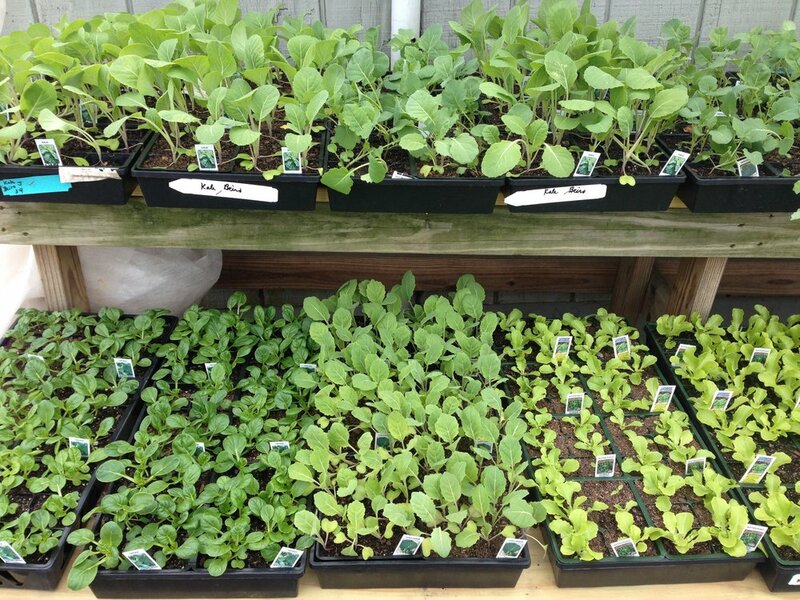 So if you’re feeling the urge to get started with your own ‘Victory Garden’ now is the time!